On Saturday, American Pharoah will race for the coveted Triple Crown of horse racing. If he is successful, the colt will be the first horse to capture horse racing's most prestigious prize since 1978. 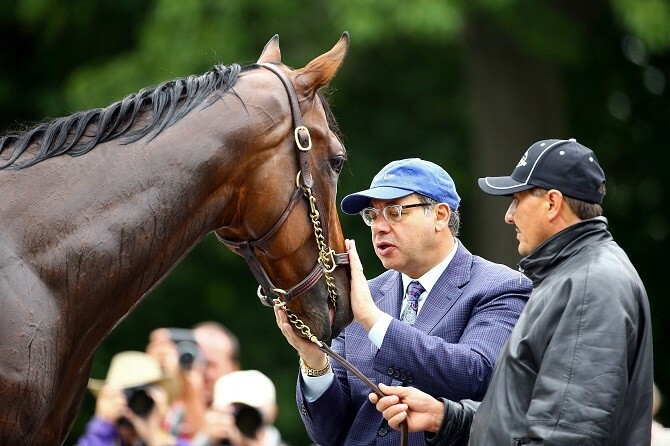 The journey to infamy hasn't always been easy for American Pharoah or his owner, Egyptian business tycoon Ahmed Zayat. Just two summers ago, the horse was already drawing attention – but for all the wrong reasons. Back then, the horse was known as Hip No. 85, and he had a scratch on his ankle that was swelling. The colt's price was dropping every time prospective buyers would go to meet him in upstate New York. Meanwhile, Zayat was trying to settle a high-profile bankruptcy dispute and desperately needed the cash. However, innovative bloodstock agents, Jeff Seder and Patti Miller, convinced Zayat not to sell Hip No. 85. They told him he'd be better served selling his house, not his horse. Zayat heeded their advice, and tomorrow American Pharoah has a chance to capture it all with a win at the Belmont Stakes to become the 12th Triple Crown winner ever and the first in 37 years. 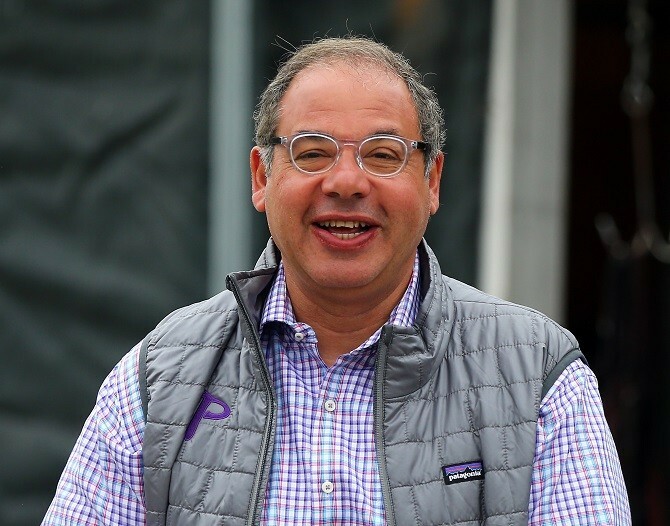 Ahmed Zayat is one of the most successful and controversial owners in thoroughbred racing today. The 52-year-old made his fortune selling beer in Egypt. He likes to gamble and has been known to have close associations with bookmakers. Many of his business practices have resulted in a slew of legal proceedings. He's on the radar of several state regulators. Zayat has been forthcoming – on Twitter of all places – about his expensive betting habits, which can run him up to $200,000 a week. So how did he go from selling beer to owning a Triple Crown winning horse? Zayat was born in Egypt in 1962. His grandfather founded Al-Risala, a well-known literary magazine. His father was a doctor who taught medicine and was President Anwar el-Sadat's personal physician. Zayat was first exposed to thoroughbreds in his teens while competing in show jumping. He won national titles in the under 12 and under 14 age divisions before moving to the U.S. at 18, to attend Yeshiva University, where he earned a bachelor's degree and Boston University, where he was awarded a master's degree. Zayat returned to Egypt in 1995 and formed an investment group. The group purchased the Al-Ahram Beverages Company in 1997. When Zayat bought the beer company, turning it around and making a profit wasn't a given. He first had to convince investors that selling beer to Muslims was a good idea. He raised $70 million, moved the company's factory to settle a land dispute, and raised more money by selling shares of the company on the London Stock Exchange. But perhaps what is most significant is the fact that he came up with the idea to add a line of non-alcoholic beers, which, of course, had great appeal in this conservative Muslim country. In 2002, he sold Al Ahram Beverages to Heineken for $280 million. That represented a 4X return on what they had paid for the company in 1997 and was the largest corporate buyout in Egyptian history. He used some of the proceeds to enter the world of professional horse racing horse racing. Zayat made his splash in horse racing in 2006 with the $4.6 million purchase of a colt at the Keeneland September Sale. By 2008, Zayat Stables was leading all American thoroughbred owners, with earnings of $6.9 million. In 2009, he made another $6.9 million when American Pharoah's sire, Pioneerof the Nile, finished second in the Kentucky Derby. He spent $25.5 million on 77 horses that year. As Zayat's stable grew to 250 horses, he started micromanaging the operation. His temper was quick to flare. He was aggressive and it put people off. But it was all fueled by his desire to win – something that became evident before the 2009 Preakness Stakes. That was when he admitted in a televised interview, that he was thinking about helping the owner of that year's Kentucky Derby winner Mine That Bird, keep one of the other horses, Rachel Alexandra, out of the race in order to improve the chances of both Mine That Bird and Pioneerof the Nile. Other horse owners convinced Zayat to abandon that plan, and Rachel Alexandra became the first filly to win Preakness in 85 years. 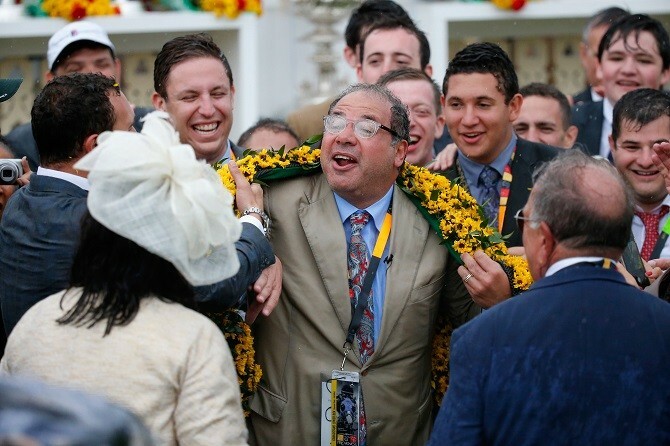 That wasn't Zayat's only questionable move. He's been stating for decades that he attended Harvard. This fact has even appeared in his corporate biography and the one used by the National Thoroughbred Racing Association. Two years ago, Zayat's attorney told a Woodland Park, New Jersey newspaper that there had been misinformation reported about Zayat's education. However, Zayat mentioned his Harvard connection just recently during a deposition in a case involving gambling debt. Zayat claimed in a recent interview that he was accepted into Harvard and later transferred. A Harvard spokesman said there is no record of Ahmed Zayat having attended the prestigious university. The business of horse racing has long been a handshake deal sort of industry. Sure, contracts are preferred, but a gentleman's agreement goes a long way. The industry is also pretty lackadaisical when it comes to paying up. "Slow pay is better than no pay" is a pretty well-accepted mantra. Zayat, unfortunately, falls into the latter camp. He has a distinctly bad track record when it comes to paying his bills. In 2010, Zayat Stables filed for bankruptcy protection. Zayat Stables had defaulted on more than $34 million in loans that Fifth Third Bank made to the organization. From 2006 to 2008 Zayat's stables lost more than $52 million. The lawsuit included mention of Zayat's gambling habits as well as the fact that he had an earlier personal bankruptcy under the name Ephriam David Zayat, which he had not disclosed. (Zayat maintains that Ephraim Zayat was on his credit report.) Oh, and he had taken more than $2 million out of stable accounts, on top of his $650,000 salary, the year before he sought bankruptcy protection. Zayat Stables also paid off Ahmed Zayat's gambling debts, including $1.2 million to New Jersey Account Wagering, $350,000 to the Las Vegas Sands, $150,000 to the Palms Casino and Resort, and $100,000 to the only wagering site for horse racing, NHPlay.com. Zayat filed for Chapter 11 as a legal defense against a bank that had failed to deliver on its commitment to his stable. By the end of 2014, all of his debts were paid off. To this day, there are vendors and farms in Kentucky that will no longer do business with Zayat. This includes Stockplace Farm, where American Pharoah was foaled. Zayat's bankruptcy proceedings brought other problems to light. The documents revealed four loans he had made to members of the Jelinsky family. Two members of that family, Michael and Jeffrey Jelinsky, pled guilty to illegal bookmaking in 2009. As a result, the racing commissions in California and Kentucky opened investigations on Zayat because racing licensees are forbidden from associating with bookmakers or convicted felons. Zayat claimed he had no knowledge of the Jelinsky's illegal bookmaking. He thought the brothers were professional gamblers who had hit on a losing streak. Zayat was cleared in both states. Horse agent Jeff Seder is a Harvard educated lawyer who has invented scientific instruments as well as founded and run businesses. He's also passionate about horses and has spent the last four decades measuring the organs of thoroughbreds and building a database of 50,000 horses in order to track which of them have the most sought after qualities. This is an unorthodox, but revolutionary way of assessing race horses. Zayat is one of the first prominent horse owners to embrace Seder's methods. To most horse agents, American Pharoah wasn't an obvious choice. But when Seder and Miller took a look at his heart and spleen and when they checked his airways, they saw an impressive cardiovascular system. He was also well versed in the colt's bloodline. Zayat listened to Seder, and ended up writing a check to himself for $300,000 for Hip No. 85, who he renamed American Pharoah. The colt has won six of seven races and more than $3.7 million in winnings. The stallion rights to American Pharoah were bought recently for an undisclosed sum north of $20 million. Earlier today, American Pharoah became the first horse since 1978 to win the coveted Triple Crown. The win means several million dollar bonuses will kick in from various sponsors and breeding rights holders. The victory clearly caps off an impressive story for owner Ahmed Zayat. American Pharoah is projected to be worth up to $50 million, but his owner still wants to race him. Could this be the dumbest decision ever?